Besides her Bachelor’s Degree in Maths (Hons. 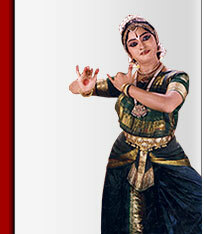 ), Geetha is a Master’s Degree holder in Performing Arts from S.N. School of Fine Arts, Performing Arts and communication, University of Hyderabad where she was under the guidance of Sri Pasumarti Ramalinga Sastry, Dr.Nataraja Ramakrishna & Dr.P.S.R. Appa Rao. Born to Smt. Rajam Ganesan and Sri G Ganesan (Retd. Chief General Manager, State Bank of Hyderabad), Geetha Ganesan has done her entire schooling from St.Anthony's, Hyderabad and went on to complete her Inter 1st year from St.Ann's College, Mehdipatnam. On her father being transferred to Indore, Geetha completed here 12th class from Daly College, Indore and her degree in Mathematics Honors from Holkar Science College, Devi Ahilya Vishwa Vidyalay, Indore. Thereafter she went on to do her Masters in Performing Arts from S N School of Performing Arts, Hyderabad Central University.